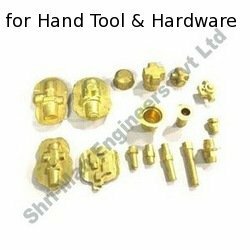 Being one of the leading companies, we are engaged in offering a wide range of Non Ferrous Forgings for Hand Tool & Hardware. The entire range of our products is manufactured using premium grade base material and advanced technologies that ensure their reliability and smooth operations. These products are well known for their attributes such as high compatibility, durability and dimensionally accuracy. Looking for Non Ferrous Forgings for Hand Tool & Hardware ?